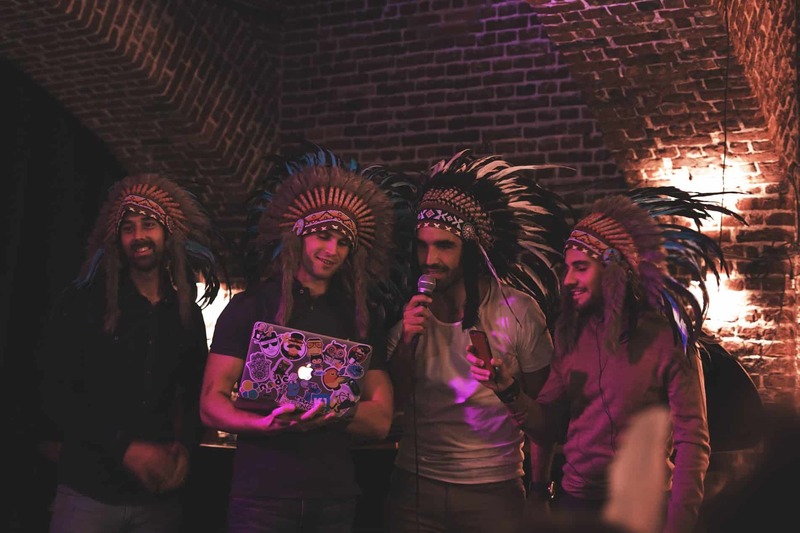 At TEPEE this month by our B2B Business Model we did 8992€. With our B2C Business Model we register the first customer with 12 €. We are happy cause we did first revenue in B2C but even more because we build our business model on customer satisfaction. 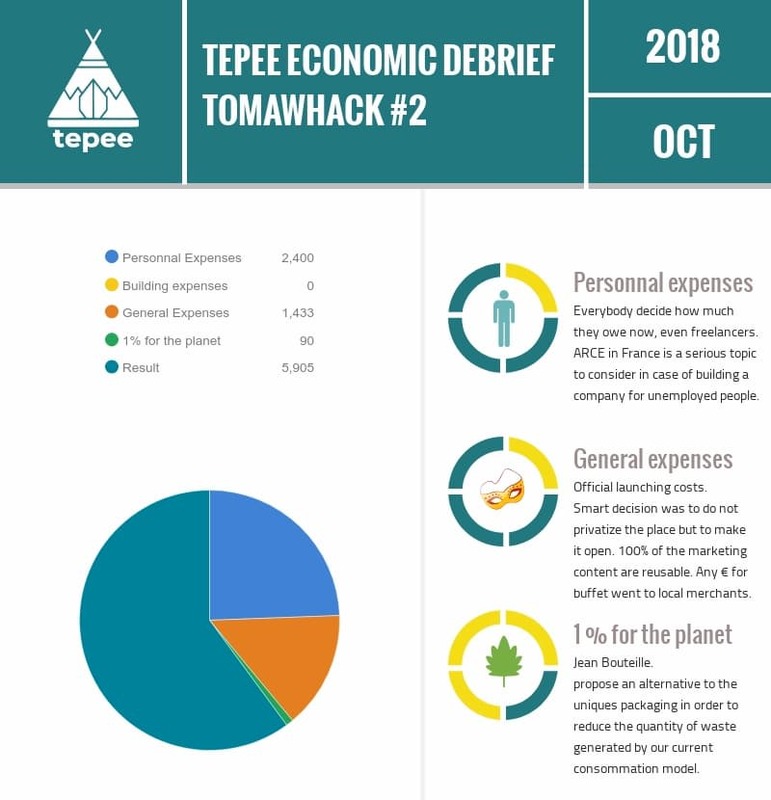 To remind you at Tepee your first experience is free then to be able to live Tepee a second time you contribute to whatever you want to help us to be sustainable. So it means the experience worth to be lived and people play the game on a sustainable way. Payment get from 12 to 150€ . We are not happier when people pay the maximum, we are when people testify that the value we deliver is willing to be lived, again and again. We spent 2400€ this month. We changed a bit the rules and we went even further. 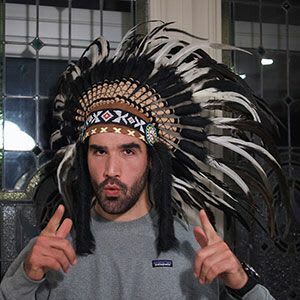 Anybody that works for Tepee could it be the associates or the one in process to be associate (it's a 6 month freelancing recruitment path - no employees at Tepee we are tired of producing slaves in this society) owe what they decide. Indeed Allan give a tendency due to economic piloting projections. Arnaud choose to get 400€, Alexandre 1000€ and Allan 1000€. What about Alexis ? Alexis is for the moment managing to get his unemployment benefit . France encourage entrepreneurs in a following way with the ARCE : they give you 50% of your total unemployment benefits if you create or take the lead of a new company creation. Very good tips if you're thinking about creating a business. If you are not French Alexis is single and we can manage this freely for you. However when you do not get cool thing can happen. You can work remotly like Allan in Iceland or prepare like Arnaud your future marathon in Valencia. We spent 1433 € this month. The main part of that is our official Launching that happened in Lille, France. However it's interesting to go a bit in detail here : the event hosted around 100 guests. Why don't make an open and collaborative event ? Instead of privatizing a place we open it to all people. Cost 0. Both success : attract more curious and avoid superfluous costs. What do we have to hide ? We spent 521€ to offer our guests a 0 waste buffet which all products from local and sustainable merchants. We spent 464€ in marketing including 50€ on Facebook Ads in order to attract locals from Lille. All of the communication supports will be reused later - long term investment. In short we spent less than 6€ per guest. Rest of the costs are the costs of our softwares (Mailchimp, Gsuite, Sage..) and one business trip. We don't have any hosting cost this month thanks to the Google Cloud credit. This month we chose to give 1% of our sales (almost 90€) to Jean Bouteille . What do they do ? 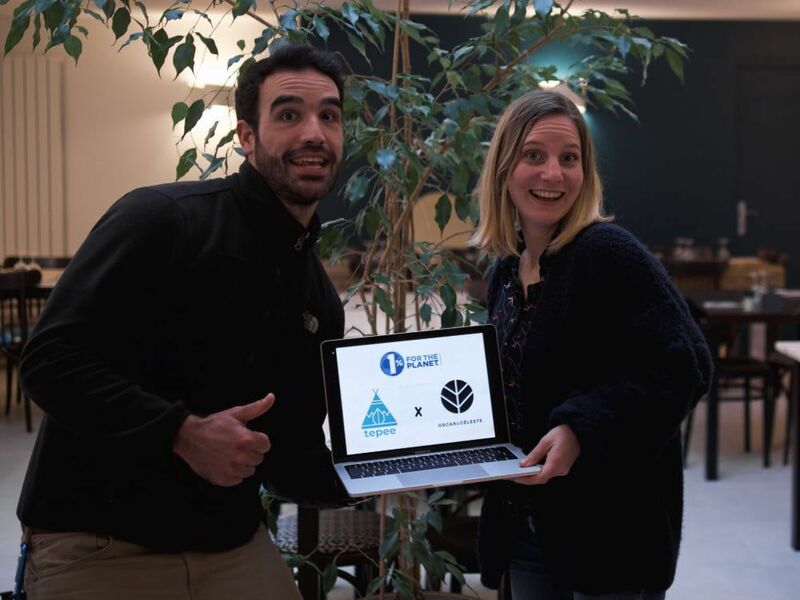 Jean Bouteille propose an alternative to the uniques packaging in order to reduce the quantity of waste generated by our current consommation model. The company develop zero waste solutions for the liquid grocery products and supermarket ones mixing bulk and logging them. October has been a consolidating month, starting and designing always more our economic models for both business and people salaries. It's a wonderful journey that we are always making evolve to innovate even on how we manage events. And we just began to challenge our economics. What's November will reveal ? As any launch our presence on events, press, business school, incubators ans startup weekends is scheduled, growth will be intense, let's see how we keep giving color to money in social and sustainable way. Eager to share with you next month !! !